Have you heard? Incandescent light bulbs are dead. Ok, maybe not dead. More like endangered. 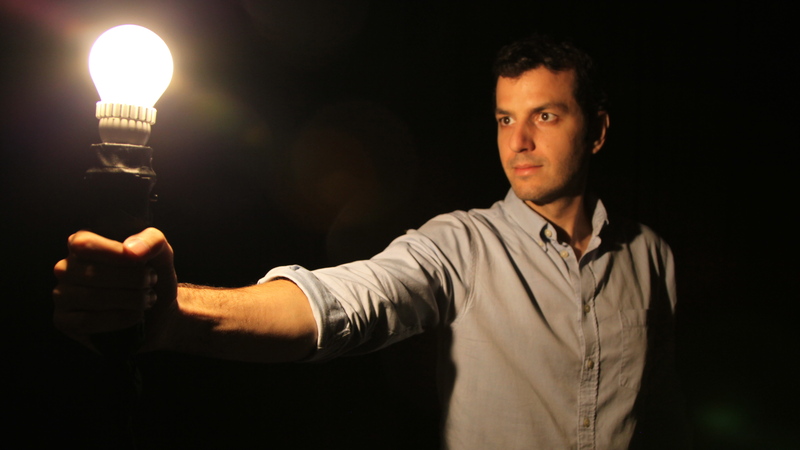 The Threat: LED light bulbs. In 2007, the Federal government passed a law mandating a gradual transition to more energy-efficient light bulbs. Manufacturers have already phased out 75 and 100-watt bulbs. And next January will be lights out for the old 40 and 60-watt energy hogs. Turns out the light bulb Thomas Edison invented over 130 years ago is incredibly inefficient. It’s internal filament wire is basically a heat source that gives off light. Not bad for the 1880s, but considering 17% of the country’s total electricity consumption now goes to lighting our homes and businesses, we have an opportunity to reduce our energy footprint by relying on newer, more efficient options. While CFLs – those swirly looking, Compact Fluorescent Lights – are certainly more energy-efficient than incandescents, disposing them has always been an issue. CFLs contain mercury, a toxic metal, and must be properly recycled when they burn out. And if they fall and break in your home, well, the EPA has a long list of cleanup precautions, including turning off your central air so the toxins don’t spread. The real bright spot in the lighting aisle comes from LED bulbs. These days LEDs can be found everywhere – flashlights, cell phones, street lamps – except the light fixtures in our homes. Why? Because up until now they were simply too expensive for most consumers. But that’s about to change. 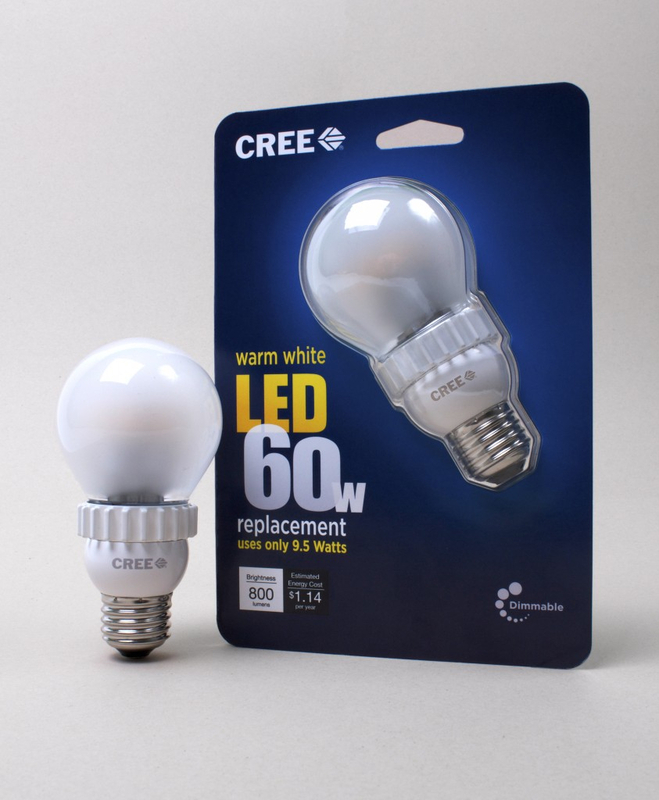 This year Durham, North Carolina-based Cree introduced a $10, 40-watt replacement LED light bulb and a 60-watt replacement model that sells for $13. Both bulbs look and feel like incandescent bulbs, only better. Before you write off the LEDs because of the steep price tag, consider this: their 60-watt replacement bulb is designed to last for over 22 years. That’s years. This translates into an estimated annual energy cost of $1.14. By comparison, a standard 60-watt incandescent bulb will burn out in about 11 months and add $7 to your annual energy bill. Consumer Reports crunched the numbers and says you will make your money back with Cree’s 60-watt replacement bulb in under two years; “After that you would save $149 in energy and bulbs over its life when compared with an incandescent.” How many light bulbs do you have in your home? You do the math. Could you see a difference? From my perspective the light quality was pretty much the same. And I suppose that’s the point. Bottom line: switching to LED bulbs is a no-brainer if you’re looking to reduce your energy consumption and your utility bill. Most reviewers highlight Cree’s bulbs for its price and light quality. But there are other options on the market, that span the price and light range so shop around and choose an LED bulb that works best for you. Nice video – nice to see a visual side-by-side comparison – although I think you could have snuck in some of the pricing information and longevity issues. One reason my mother likes the LED’s is that as an older person she will never have to replace them – or have someone else replace them. One more thing she won’t have to worry about. Professionally LED’s are now a no-brainer – although it would be nice to have some more tax incentives to convert. regarding the light bulb specs, please check out the data on the actual youtube page. thanks! Love the video! It’s quick and informative. I didn’t know 75 and 100-watt bulbs had been phased out, and the annual cost comparison was interesting too, great piece! Not having to change bulbs is an huge benefit. Online second hand sellers like 1 light bulbs and 1000 bulbs are educating shoppers on the benefits where it seems like brick and mortar retailers like home depot and lowes have employees that just do not care. Also landscape lighting using eco friendly bulbs has become an increasingly growing trend. It’s not how the lightbulb looks when you turn it on that matters, it’s how the ROOM looks when lit by one type of lamp or the other. • Incandescent lamps and Halogen lamps have perfect color rendition (CRI 100) and a warm relaxing glow. • CFL and LED lamps have only around 80% colour accuracy the light colour itself is often slightly off (though improved compared to early versions). These factors will make the colours of the room look duller and the atmosphere feel gloomier. They also become weaker and sometimes change colour with age. Therefore, what the light looks like right out the box is not representative to how poorly it will light up your home after a while. This makes CFL and LED unsuitable for older people who need more and clearer light to see well. • Unlike tungsten filament lamps, LEDs (and CFLs) also consume more power than their marked watts due to poor power factor, and they contain rare earths which are very destructive to the environment to mine. • And indoors, the heat from incandescent lamps have been found to lower heating bills, so the difference in actual energy use between incandescent lamps and CFLs or LEDs is much smaller than advertised. Only outdoors and in places like public buildings where the light is on all day or all night is it actually profitable to invest in LED lighting. • Standard incandescent lamps are phased out in the U.S. but you will still be able to buy incandescent halogen energy savers which last twice as long and give a very clear light. This is the light we recommend for the elderly. For more lighting recommendations, see our website. I am also in the process of creating a curriculum of lighting for 3rd-5th grade as a guest lecturer. I did this successfully with Biodiesel and now I want to educate our youth on LED lighting. Would love to have a chat with you about any further work you are going to do with the LED topic. How best could that happen? Nice video. 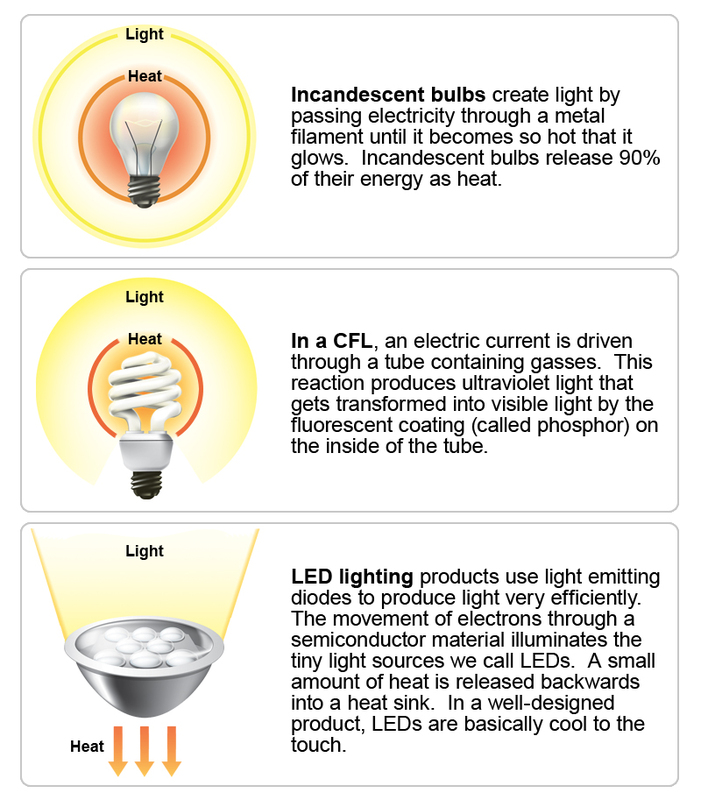 Led’s are used for long life span and it emits less heat. Now a days people are using led lights for outdoor shows, parties because of its high brightness. Great video. LED light bulbs are now an affordable option. You can recover the cost of the LED bulb from your power savings within the first 12 months. You then have another 9 years of low cost lighting before buying another LED bulb. The LED lighting Power Savings Calculator on this website http://www.totalsupport.co.nz/led-power-saving-calculator/ enables you to calculate your savings. very good post, I learned a lot from you. 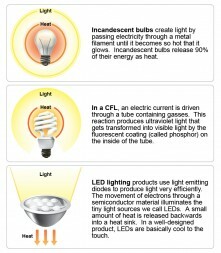 LED bulbs are good but they are still inefficient & costing everyone money! Surely the bulb of the future doesn’t need power? I think the bulbs of tomorrow will use natural light to charge during the day, made from 100% renewable materials and adjustable brightness. Surely this is the dream! LED can also be used to send digital data while used for illumination because unlike mentioned light sources, LEDs can be switched on and off at computer speeds, which is invisible to humans. This fact opens LED lighting for applications like networking. I love the video, it really shows how similar those bulbs are in term of lighting. Use of Incandescent lights really going to dead in next 2-3 years. Now people are more aware of saving energy and LED industry claim energy efficient and eco friendly lights. These days people using LED lights in their houses as well as offices. it also saves our present by both CO2 reduction and Huge reduction on monthly bills. As estimated approximately 90% reduction in electric bills and huge savings.